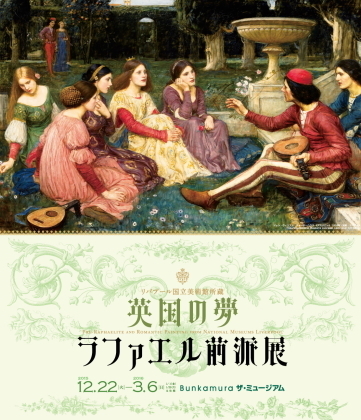 Liverpool NationalMuseum of Fine Arts has been known worldwide for owning a large number of Raphaelmasterpiece of pre-school.From this time Liverpool National Museum of FineArts, a masterpiece of a large number of Pre-Raphaelite Brotherhood wasgathered in "Bunkamura Museum". Pre-Raphaelitepainters, rebounded to academic to find the format beauty was mere facadeRaffaello as a norm, tried to Tachikaero to Raphael previous rustic initialRenaissance and Flemish art. The Pre-Raphaelite Brotherhood is designedharmonic format paintings of Raphael had considered to be artificial andrepressive. Pre-Raphaelite painter was a model rustic initial Renaissance andFlemish art. They tried to accurately Utsushidaso natural unvarnished. Painting of thefeatures of the Pre-Raphaelite Brotherhood, the highlighted line depiction, isthe bright colors that have been freed from the legacy of chiaroscuro. Pre-Raphaelitepainters were affected by the Flemish art of the early Renaissance and the 15thcentury. Painting of the features of the Pre-Raphaelite Brotherhood, the weakbright screen of the dark, vivid color, is a fine depiction. Features of thePre-Raphaelite Brotherhood is that a variety of color depiction elaboraterepresentation finesse and advanced realism and dark contrast is large. Portraitof the Pre-Raphaelite Brotherhood is a graphic depiction compelling at themoment of the rule of romantic feelings. If you want to read your English description, and link to the description of the English when you click on the bottom of the character.